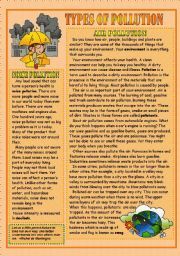 Due to this worksheet (4 pages) your pupils will get acquainted with the most common types of pollution: air, water, noise pollution, solid wastes, pesticides and radiation. Oral task is provided. I hope you´ll find it useful! 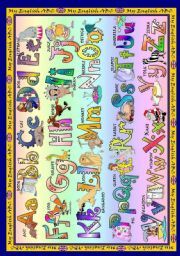 The English ABC poster which is followed by a simple writing activity of English ABC words for EYLs. 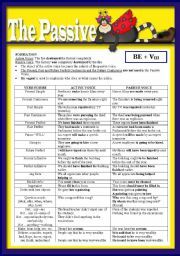 Hope you´ll like it and find it useful. A pictionary on means of transport that corresponds to my uploaded ppt presentation on the same topic. My 1st crossword :) Hope you´ll like it! Theory on the passive and 40 sentences to practise it. The answer key is included. Hope you´ll find it useful. Have a nice day! A pictionary on food that corresponds to my uploaded power point presentation on the same topic. 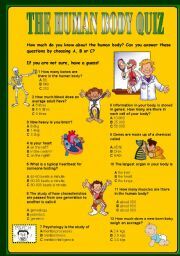 A general knowledge quiz on the subject of the human body. The KEY is included. 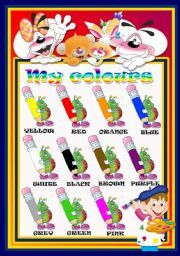 Colour poster with a simple writing activity for EYLs. Hope you´ll find it useful! The 1st part of my presentation to teach and practise vocabulary on food: PIZZA, PEPPER, EGG, LEMON, STRAWBERRY, SAUSAGE, POTATO, APPLE, PEAR and CORN. Enjoy! 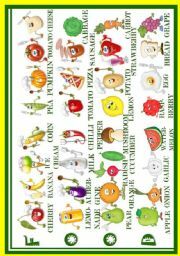 The 2nd part of the presentation to teach and practise food vocabulary. It includes 12 food items: BREAD, TOMATO, PEA, BANANA, LEMONADE, AUBERGINE, ICE CREAM, CHERRY, GARLIC, GRAPE, CHEESE and CUCUMBER. 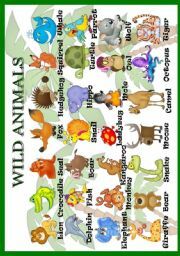 The 2nd part of the game to practise the vocabulary on wild animals in a playful way. The template is from www.eslgamesworld.com Hope you´ll find it useful. Have a nice day and thanks for downloading! The last part of the presentation to teach and practise food vocabulary: CHILLI PEPPER, PUMPKIN, WATERMELON, CARROT, MILK, ONION, ORANGE, RADISH, CABBAGE and MUSHROOM. All in all - 34 slides. Hope you´ll like it. Thanks for downloading and have a nice day!!! 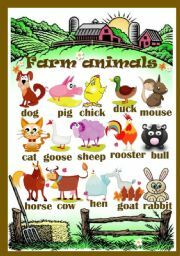 The 1st part of the game to practise and consolidate the vocabulary on food. Enjoy! 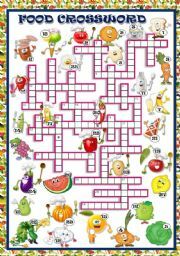 The 2nd part of the game to practise and consolidate the vocabulary on food. I hope you´ll find it useful. 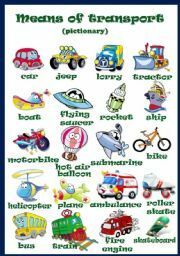 The 2nd part of the game to practise the vocabulary on transportation. The template is from www.eslgamesworld.com Hope you´ll find it useful. Have a nice day and thanks for downloading!! !